Please click here to see the edition of BuilderBytes for 11/28/2011 on the Web. Please click here to see the edition of BuilderBytes for 11/23/2011 on the Web. Because of the Thanksgiving holiday, for this issue it's being published on Wednesday instead of Thursday. Please click here to see the edition of BuilderBytes for 11/21/2011 on the Web. Please click here to see the edition of BuilderBytes for 11/17/2011 on the Web. In 2011, a not-so-funny thing happened on the way to the rebound: it was delayed. Whether due to poor consumer confidence, tighter credit standards, high unemployment, delayed foreclosures or some combination of the above, it’s become clear that millions of potential households have delayed the move to their own, private abodes until the economy -- and their aspirations -- improve. But both things are actually getting better – albeit very slowly. About a year ago, I wrote about how this doubling up with friends or relatives had actually meant that the country was technically under-housed to the tune of well over 3 million households. Given continued population growth, that is even more true now, but with the unusually slow rebound from the Great Recession, builders and developers have had to exercise yet more patience while shepherding future projects along. However, aside from continued troubling signs from Europe, the economic news is gradually beginning to improve. For example, U.S. GDP, which squeaked along at 0.4% and 1.3% in the first and second quarters of 2011, respectively, accelerated to 2.0% by the third quarter. Retail sales are up, led mostly by gains in cars and electronics. Both business sales and industrial production are rising, and the consumer price index recently declined, suggesting that inflation is being kept in check. From the point of view of the building community, sentiment is beginning to improve after multiple months of treading water, with the NAHB/Wells Fargo Housing Market Index rising to 20 in November, or the highest level noted since May of 2010. In addition, the national Housing Opportunity Index (which measures housing affordability) has been consistently rating above the 70% mark since the beginning of 2009. According to the Improving Market Index, 30 metro areas made the list for November as the homeownership rate reversed months of decline to rebound slightly to 66.1%, and housing prices seem to have stabilized in most places. Even building permits, which had struggled throughout most of 2011 to match 2010 levels, are finally rising, although that’s mostly due to the year-to-date performance of the multi-family sector (+32%) versus declines for single-family permits (-8.4%). Still, October’s permits were the highest since December 2010 for single-family homes and October 2008 for multi-family units. 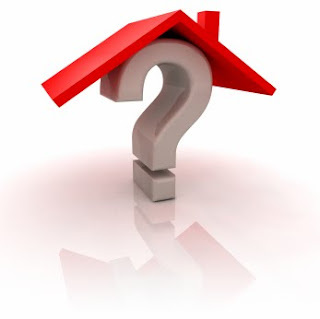 Moreover, looking towards the long term, there is a concern that the weakness in the housing market over the past few years will have a larger impact on household formations, due mostly to both marriages and new births being delayed by those in their 20s and 30s. Indeed, up to two million such households which would otherwise be looking for their own homes have had to postpone those plans due to economic or social duress. And of course a lower birth rate could certainly put additional pressure on long-term safety nets such as Social Security and Medicare, which require a robust tax base to meet promised obligations. But hopefully that’s a problem which will be more than reversed as the nation’s builders eventually gear up to address the pent-up demand silently but steadily building up nationwide. Please click here to see the edition of BuilderBytes for 11/10/2011 on the Web. My column for the November 2011 issue of Builder & Developer magazine is now posted online. For this issue, entitled "Beware the Politics of Economics" I wanted to discuss how the politicization of economics can end up shielding voters from the important issues they should be considering. Since we'll be seeing a lot of politically charged rhetoric over the next year regarding the economy, it's more crucial than ever to recognize what got us to the situation we're in -- and the best ways we can escape it. Hint: neither major party has yet addressed these solutions. ...What we should demand from our elected government is the truth about our strengths and weaknesses in a global world. Our strengths remain solid, including a younger, less-taxed population versus other developed countries, a more innovative economy and the dollar as the global reserve currency. To read the entire November 2011 issue in digital format, click here. Please click here to see the edition of BuilderBytes for 11/07/2011 on the Web. For now, it seems to me that there are certain ethnic groups which have a history of inter-generational living (such as Hispanics and Asians), but he didn't delve much into that, preferring instead to focus on the economics of doubling up but with the advantage of private spaces. "Here is a clever way of addressing something that wasn't built during the boom years," said Patrick Duffy, principal for research firm MetroIntelligence Real Estate Advisors. The main question builders are asking themselves, he said, is: "How do you make it special, not only against foreclosures, but a cheaper home that they themselves built only a few years ago?" 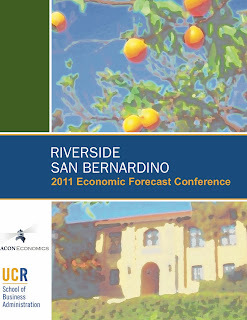 Miss the 2011 Beacon Economics Riverside-San Bernardino Economic Forecast Conference on Thursday, November 3rd at the Riverside Convention Center? You can still download the section on commercial real estate by clicking here or on the book cover to the left. As in the past this section was authored by me and MetroIntelligence. Although vacancy increases for office space are now leveling off and little new supply is expected to add to the inventory overhang, the office sector in the Riverside-San Bernardino region will still take time to recover; look for vacancies to range from 19.0% to 19.5% and rent growth to remain under pressure for at least another year. As in the office sector, vacancies in the retail sector have peaked and should begin to inch down as the economy recovers and very little supply is added; look for economic vacancies to fall by 20 basis points by the end of 2011; positive rent growth will be delayed until the end of next year. After nearly tripling between 2006 and 2009, vacancy rates for the region’s industrial/warehouse sector have fallen for six consecutive quarters to below 8%, largely on the strength of tenants demanding big-box buildings; look for vacancies to continue trending toward 6.0% as rent growth ranges for the most part between 1.5% and 2.0% per quarter. Based on commercial building permit values, many building owners are investing in additions or alterations to existing properties; for new development, during the second quarter of 2011, there were declines in building permits for all commercial sectors from the previous quarter. 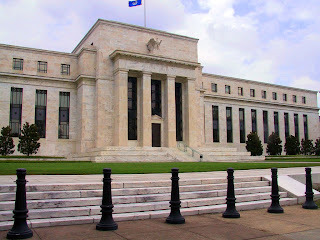 With interest rates for 10-year U.S. Treasury bonds recently hovering close to 2%, cap rates during the second quarter of 2011 for all commercial property sectors look quite competitive by comparison, ranging from 7.26% for industrial/warehouse properties to 8.75% for retail space and 9.57% for the office sector. Fear not -- you can still download the section on residential real estate by clicking here or on the book cover to the left. Falling home prices in the Riverside/San Bernardino region have dramatically increased home affordability, with 72% of households able to buy the median-priced home at current interest rates, up from the single digit percentages seen as recently as the fourth quarter of 2007. The new home market in the Riverside/San Bernardino region has been decimated, with sales falling by 90% between the first quarter of 2006 and the second quarter of 2011. After falling by 37% between mid-2006 and early 2009, since then prices have ranged mostly between $270,000 and $285,000. Although existing single-family home sales did stage a strong rebound after the end of 2007 due to various tax credit programs, since these programs expired, sales fell back to about 14,400 by the second quarter of 2011.Prices, after reaching a trough in the second quarter of 2009, rallied through the second quarter of 2010 but during the second quarter of 2011 fell back down to just under $174,000. Sales of condominiums, which started to fall in 2004 as prices began to freeze out traditional first-time buyers, rebounded by 85% between the third quarter of 2007 and the second quarter of 2011 to over 1,600 units. Prices, which fell by 63% from peak to trough by the third quarter of 2009, have since risen by nearly 18% to $142,947. Although the combination of a shadow rental supply, a soft economy, and high unemployment will continue to affect the local apartment market, it is gradually returning to health.Vacancy rates have begun to fall, and should dip below 6.0% in 2012. Average asking rents are also rising slowly, averaging $1,064 by the second quarter of 2011 and could rise by 1.0% or more per quarter by the middle of 2012. Following a nearly year-long drop in foreclosure activity, a 26% increase in default activity between the second and third quarters of 2011 in the region will likely mean a similar increase in foreclosures over the next nine to twelve months.A new wave of REO homes could certainly have an impact on prices for existing homes. Permits for single-family homes remain depressed in the region, totaling just over 1,100 homes for the two-county region by the second quarter of 2011, but should start to slowly rise by the end of 2011 and even climb past 3,000 units by the last quarter of 2015. 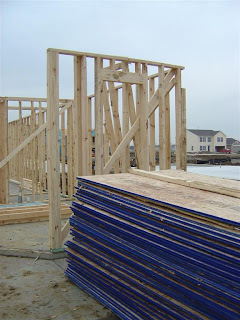 Permits for multi-family homes fell to just 256 units during the second quarter of 2011, but should now start rising gradually as builders re-enter the market to meet pent-up apartment demand.By the end of 2015, multi-family permits could reach 2,000 units per quarter. Fear not -- you can still download the conference book as a .pdf for free by clicking here. As in the past, the sections on the residential and commercial real estate markets were authored by me and MetroIntelligence, so I welcome your comments and suggestions! Also, if you'd like to view the presentation by Beacon founding partner and economist Christopher Thornberg on the state of the national and state economy, click here. If you'd like to view the presentation by Brad Kemp, Beacon's Director of Regional Research, which focused on the Riverside-San Bernardino area -- including forecasts for employment, building permits and housing prices -- click here. During the 2011 ULI Fall Meeting in Los Angeles, Mike Milken (yes, that Mike Milken) gave a very well-attended keynote luncheon speech that was being talked about a lot the rest of the day. 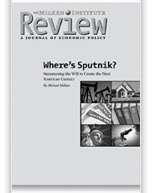 Milken, who chairs the think tank Milken Institute in Santa Monica, CA, gave a speech entitled, "Where's Sputnik?" which will also be the title of a forthcoming book. And yet Milken is still an optimist. Offering a comprehensive program for national renewal, Milken's speech (and book) will focus on six challenges – energy, housing, entitlements, education, health and immigration. Milken believes the “American Century” does not have to end, but can be extended long into the future if the public and private sectors, and all of us as individuals, assume greater responsibility for our common destiny. But you don't have to wait for the book -- you can read his 24-page article on the subject (adapted from his book) by clicking here. 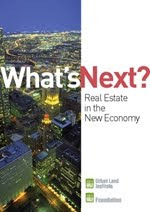 At the 2012 Fall Meeting here in Los Angeles, the Urban Land Institute released a report entitled "Real Estate in the New Economy," which discusses how ongoing changes in globalization, demographics and technologies will impact land use in the years ahead. You can download the entire report as a .pdf file by clicking here. The introduction to the 21st century is still unfolding in cities and communities around the world. The complexity of the Great Recession continues to challenge all market players with implications that ripple out across countries, industries, currencies, and communities. From reconstruction dilemmas following natural disasters to civil unrest, political friction, and the heart-stopping ravages of the latest famine, we feel a world getting smaller yet more complicated and interdependent than ever before. After decades of what felt like infinite resources and vast wealth pools available to fuel the consumption-based U.S. economy, we now face a mindset of shortage. We all know the history—government-supported mortgages and freeways, affordable automobiles, cheap gas, and post–World War II industrial expansion all underwrote the exodus from “cramped” urban neighborhoods to spacious single-family suburban homes. Car models were a talisman for individual success, and public transit turned into an afterthought in suburban agglomerations. Proximity to anything didn’t matter when you could drive easily to almost everywhere. And exhilarating mobility over long distances enabled more people to own more land—and build larger houses—at the ever-expanding suburban fringe.b Employers sought to build suburban office islands, set apart from housing, retail, and transit. Accelerating Globalization—From energy to food to manufacturing, the metrics of globalization shed light on the rise and fall of global markets on a 24/7 basis as cities around the world ebb and flow with massive capital investments and withdrawals. Burgeoning and shrinking cities mirror investors’ search for lower costs of production and optimum locations for both manufacturing and services. Our social networks and governance structures struggle to keep pace and adapt quickly and creatively to process all of the input that various interests want and need to give. Disparities between rich and poor expand, uncertainty and lack of confidence grow, and prognosticators hyperventilate with fears of the future. Changing Demographics—The rapidly evolving social composition of communities has a more powerful reach and not only reframes a neighborhood or a state but also triggers new markets, new opportunities, and new products and services. Immigration produces not just a plethora of diverse restaurants in virtually every town and suburb, but also new residents vying for jobs, housing, and a toehold on the ladder of success. The “barbell” population groups of the Boomers and Generation Y challenge the markets, from where and how we live and work, to how we learn, heal, and relax. Ever-Evolving Technologies—Technology is pushing more information into the marketplace and onto our smartphones at warp speed. We can monitor and manage our activities, our navigation, and every value proposition with ever more accuracy and in real time. The community-building potential of communications technology is on a meteoric catapult across the globe, replacing entire industries along the way. Whether to detect underperforming heating, ventilation, and air-conditioning equipment, monitor the arrival of the next bus, or catalyze political engagement, communities and businesses are exploring the power of instant connectivity for good or ill.
Click here to download the entire report as a .pdf file. At the 2011 ULI Fall Meeting here in Los Angeles, the Urban Land Institute released its annual edition of "Emerging Trends in Real Estate" for 2012. You can download the entire report as a .pdf by clicking here. 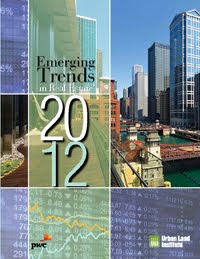 For 2012, U.S. real estate players must resign themselves to a slowing, grind-it-out economic recovery following a period of mostly sporadic growth, confined largely to a few real estate markets that offer the primary 24-hour transportation hubs with global access, according to respondents of the Emerging Trends in Real Estate® 2012 report, released today by PwC US and the Urban Land Institute (ULI). According to survey respondents, enduring economic doldrums and the absence of dynamic jobs generators are weighing on real estate markets. The hard reality is businesses have learned they can increase profits with less space – while people can’t afford bigger living spaces. While the nation’s lackluster employment outlook delays filling office space, the related drag in consumer spending compromises growth in retail and industrial occupancies and rents. “Job creation is clearly the critical ingredient for a sustained recovery in commercial real estate and the market participants we surveyed uniformly struggled to identify new employment engines. To download the entire report in .pdf format, click here. 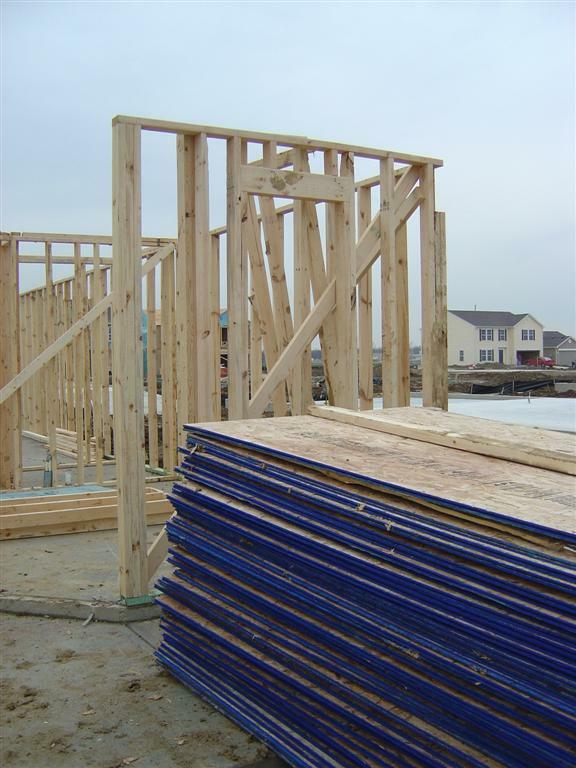 The U.S. Census Bureau of the Department of Commerce announced today that construction spending during September 2011 was estimated at a seasonally adjusted annual rate of $787.2 billion, 0.2 percent above the revised August estimate of $786.0 billion. The September figure is 1.3 percent below the September 2010 estimate of $797.3 billion. During the first 9 months of this year, construction spending amounted to $580.9 billion, 3.5 percent below the $602.0 billion for the same period in 2010. Information received since the Federal Open Market Committee met in September indicates that economic growth strengthened somewhat in the third quarter, reflecting in part a reversal of the temporary factors that had weighed on growth earlier in the year. Nonetheless, recent indicators point to continuing weakness in overall labor market conditions, and the unemployment rate remains elevated. Household spending has increased at a somewhat faster pace in recent months.